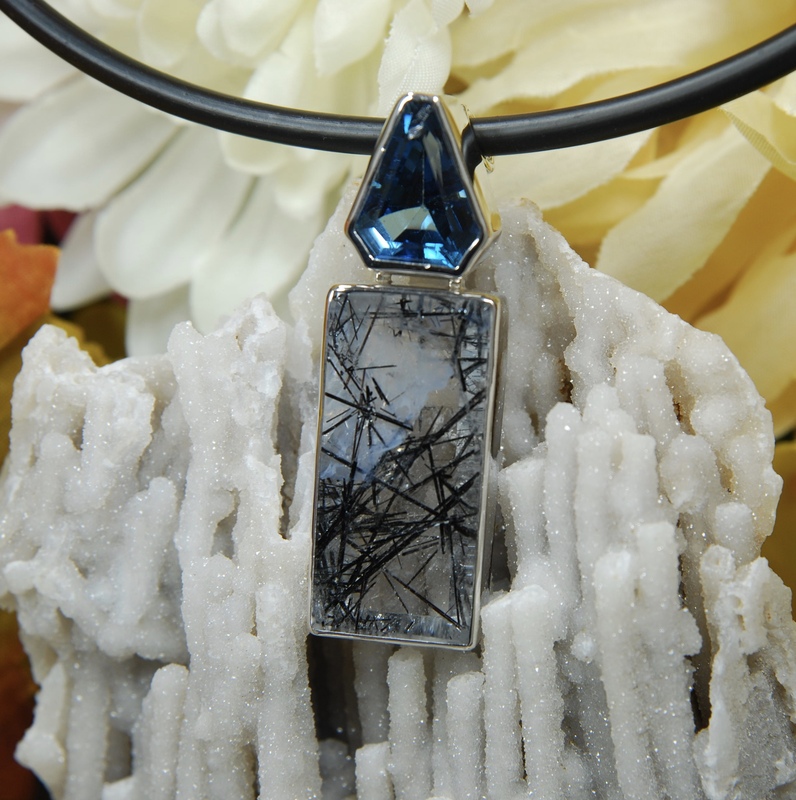 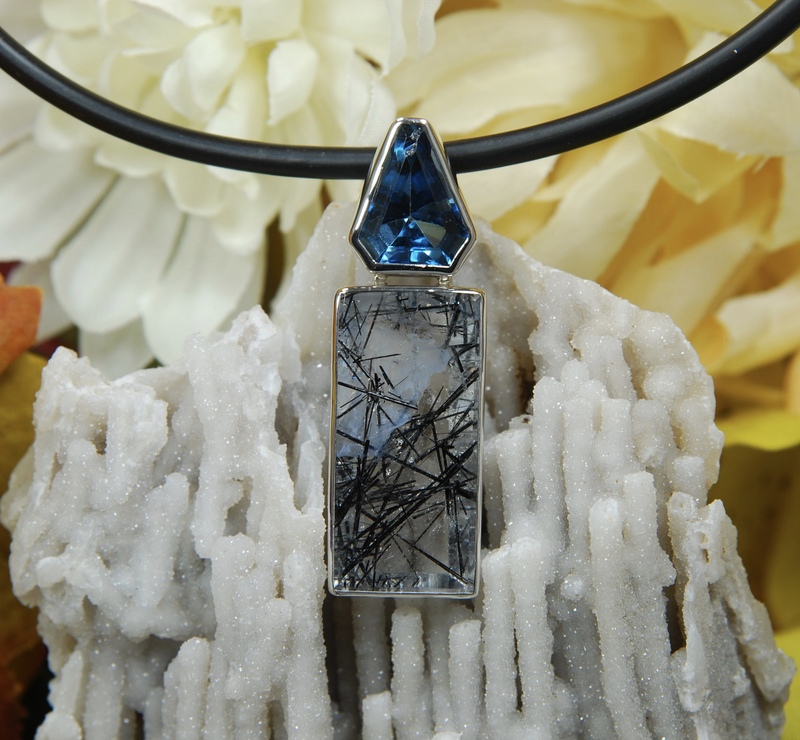 Elegant and outstanding 34 x 17 mm Tourmilated Quartz toped with a natural 16 x 13 mm triangle Blue Topaz . 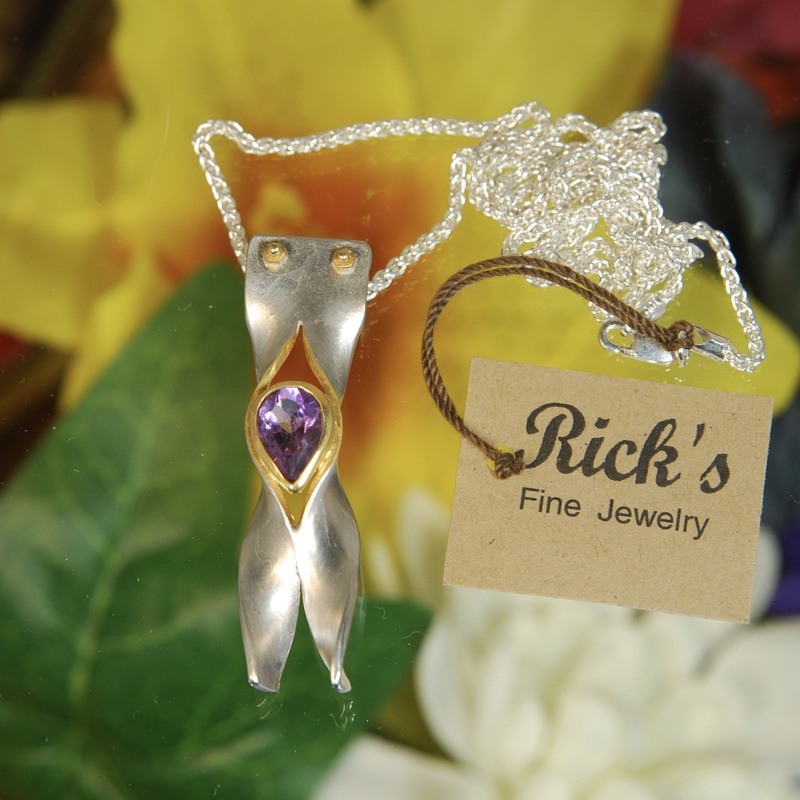 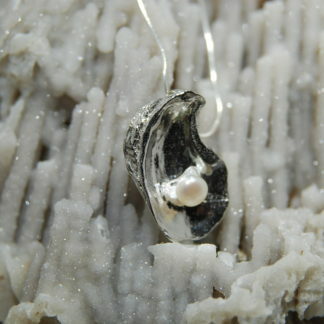 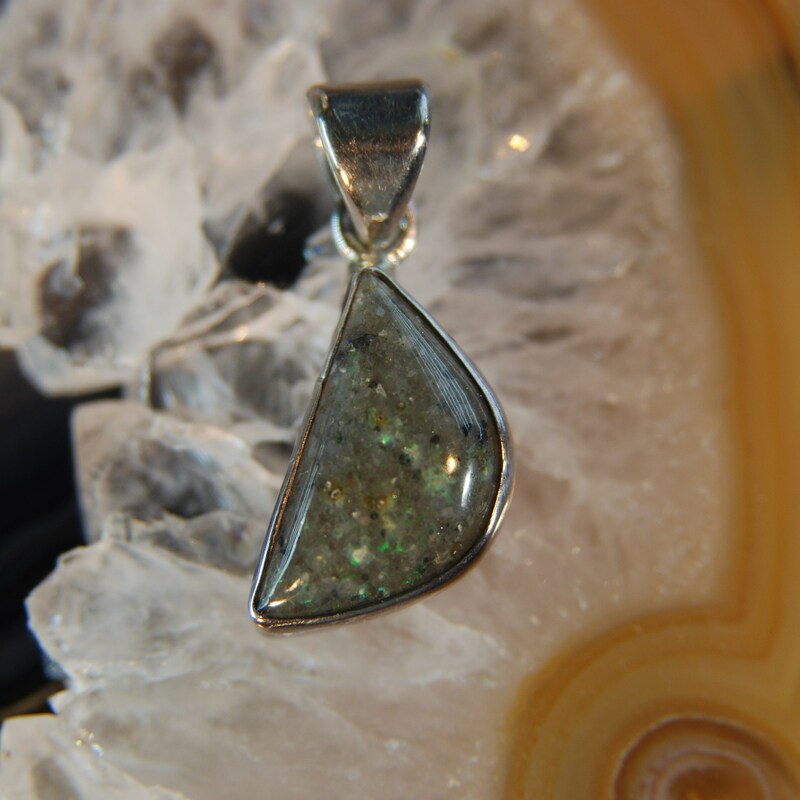 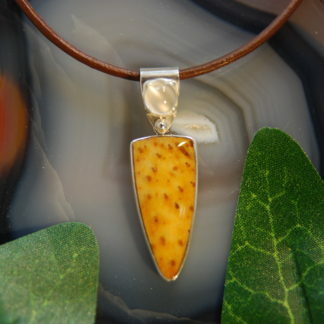 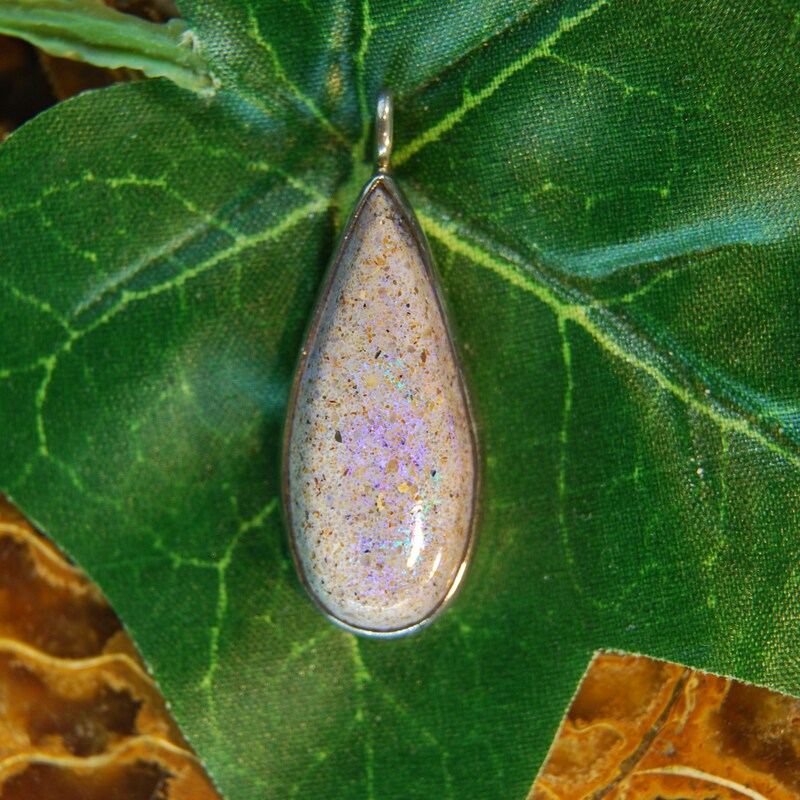 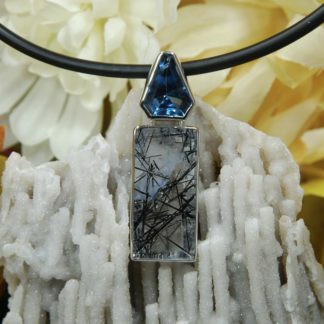 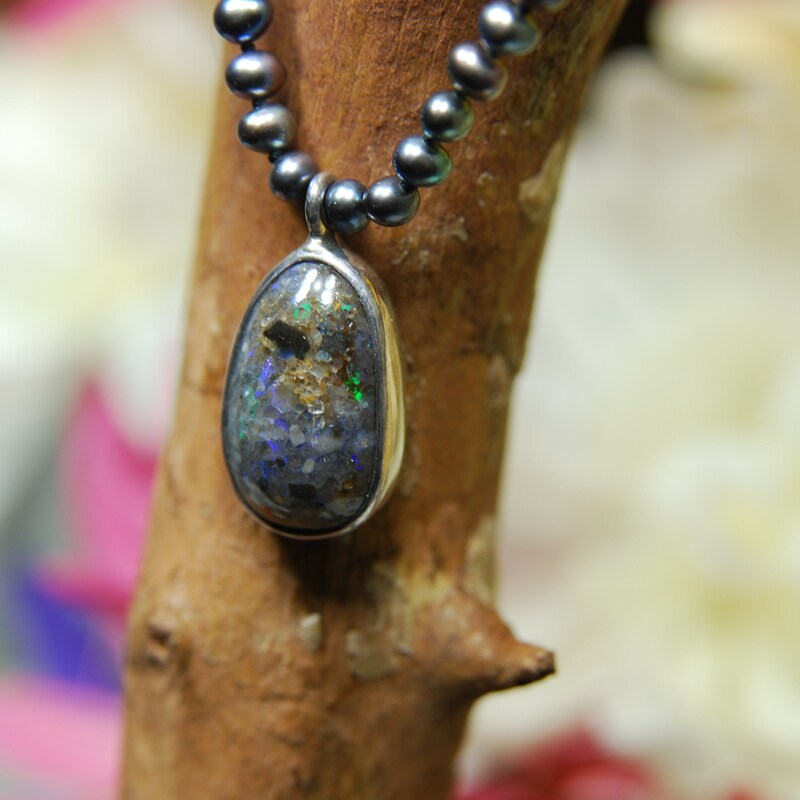 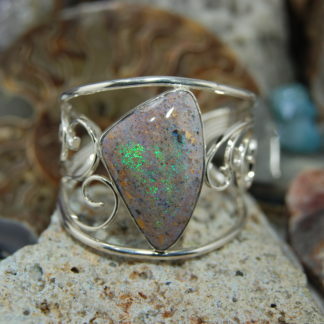 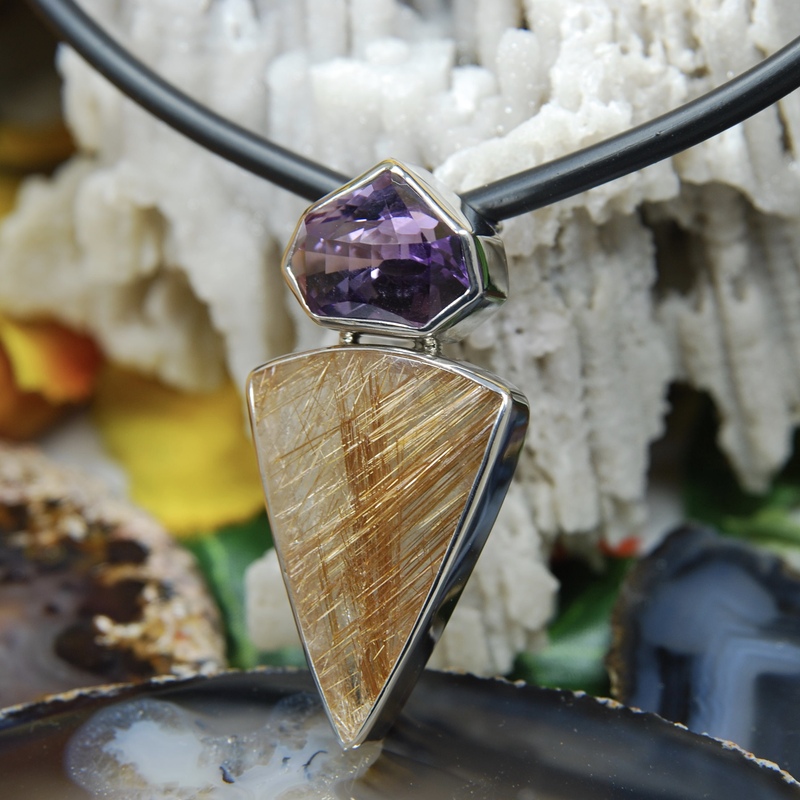 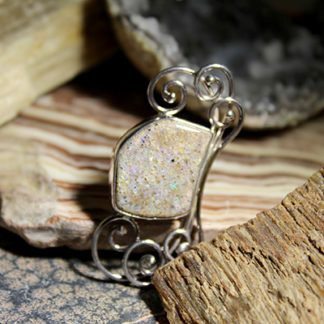 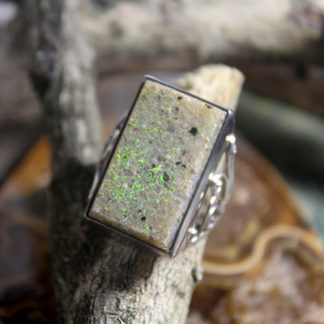 The piece is hand made of solid sterling silver and makes a subtle statement at 2 1/4 inches long . 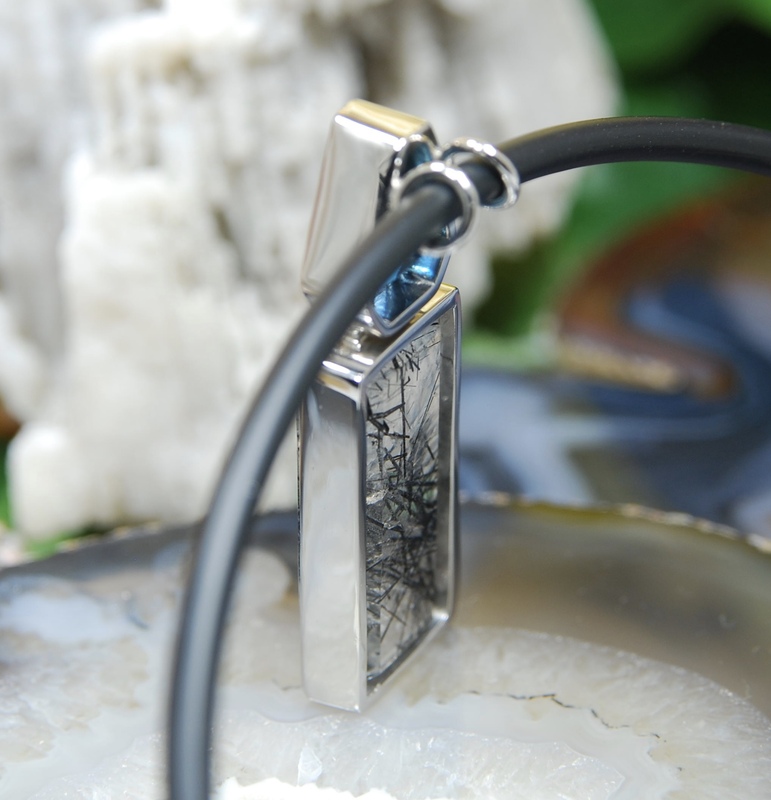 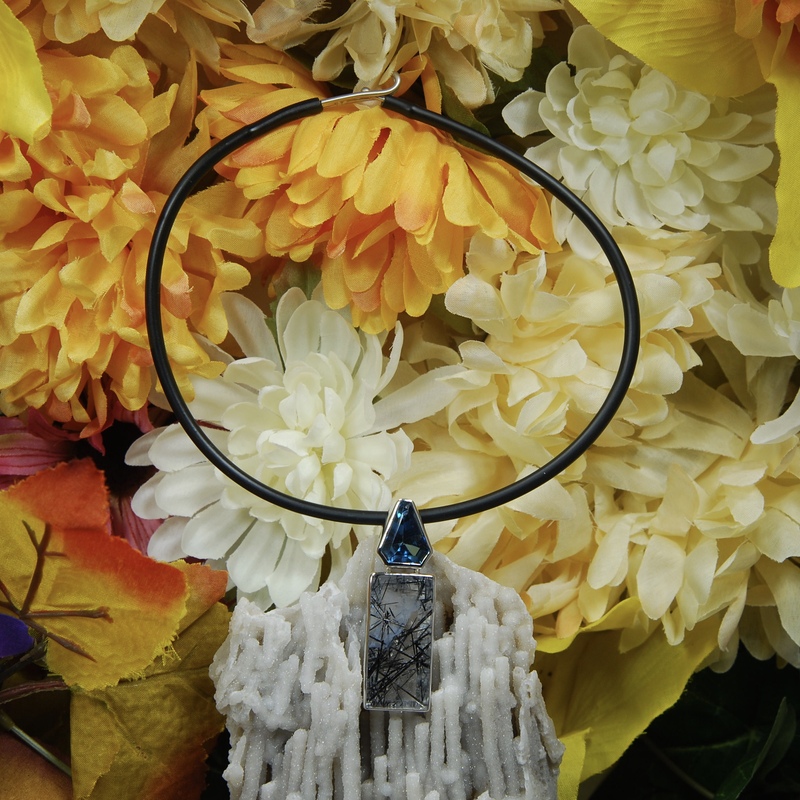 It hangs from a custom finished mat black rubber necklace the clasp is my signature design and also solid sterling silver.